The newest summer activity is with no doubt Stand Up Paddlesurfing. For sure you have seen pictures or videos or even have tried it last summer. You have never done it? No problem! Don't wait and visit us to try this new sport. 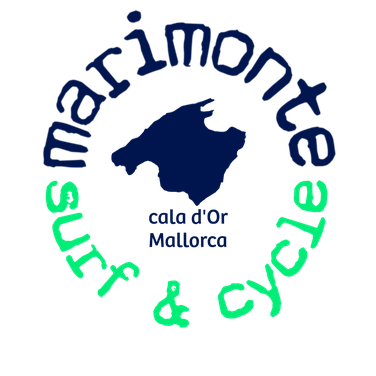 It's is really easy to learn- it just takes one hour and choose to join us on en excursion and discover the coastline, coves and caves or rent a board and paddle through the bay. 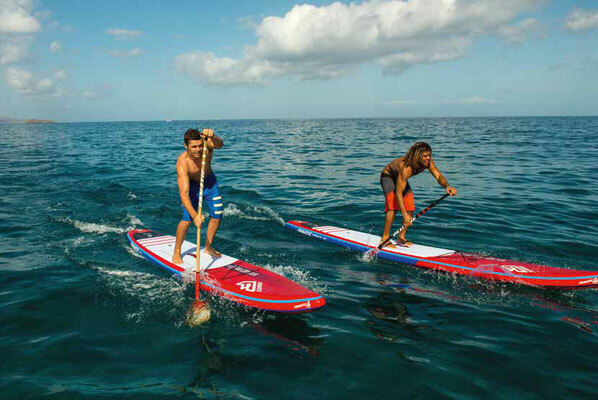 SUP'ing is a wounderful sport to train your balance and body tension. Plus it is really relaxing and believe me, the prospective standing "on the water" and paddling the coastline is amazing and not comparable with kayaking or rowing. Come and give it a try! For novices the participation of a short tuition is obligatory and costs 15€. The exercises have a duration of 15 - 20 minutes and include training of your balance, paddle tecniques and important information for your safety. For the remaining time of the hour you can continue paddling and exploring the bay. 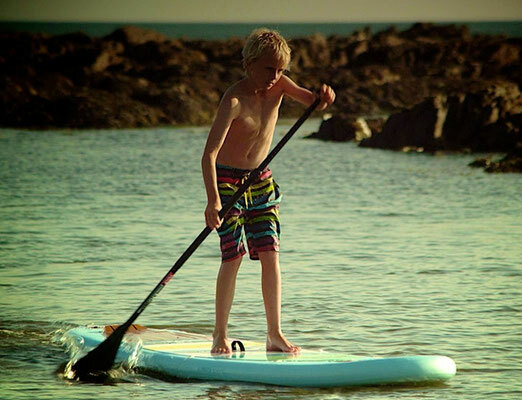 SUP’ing is a great way to train balance and core stability. We offer a quick course to show you all the imortant tricks and hints of paddleboarding, keeping the balance and achieve a good and economic way to paddle; plus of course some safety advices. 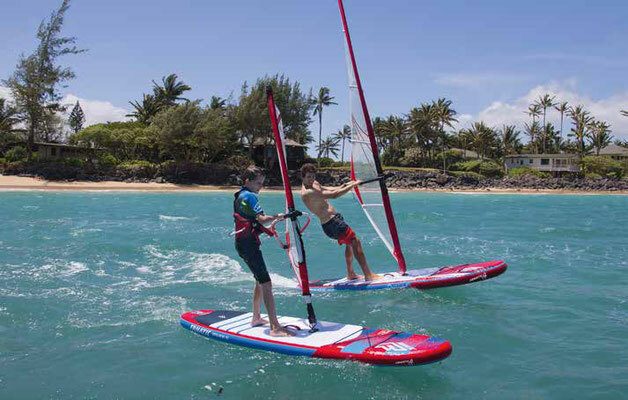 The duration of the course is 1 hour and includes exercises for your balance, paddle techniques and safety. After completion of the course you are welcome to rent our boards andd take them out yourselve. The 1 hour SUP course costs 20€ including equipment. We offer boards of the highest quality made by the brand REDpaddle, the best boards on the market. After a test phases in autumn 2015 we are now using inflatable boards. They are much better than classic fiberglass boards- if in doubt: try out! The paddles are of course adjustable in length and we even have slim and light kids paddles. As we renew our equipemt regularly we always have interesting offers of second hand equipment.